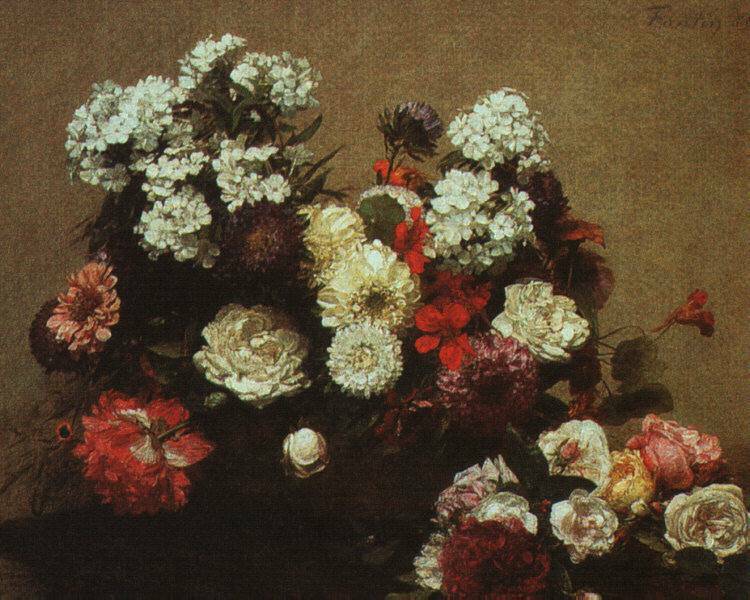 Fantin-Latour, Henri (1836-1904). French painter and lithographer. He is best known for his luxurious flower pieces, but he also painted several group portraits that are important historical documents and show his friendship with leading avant-garde artists. 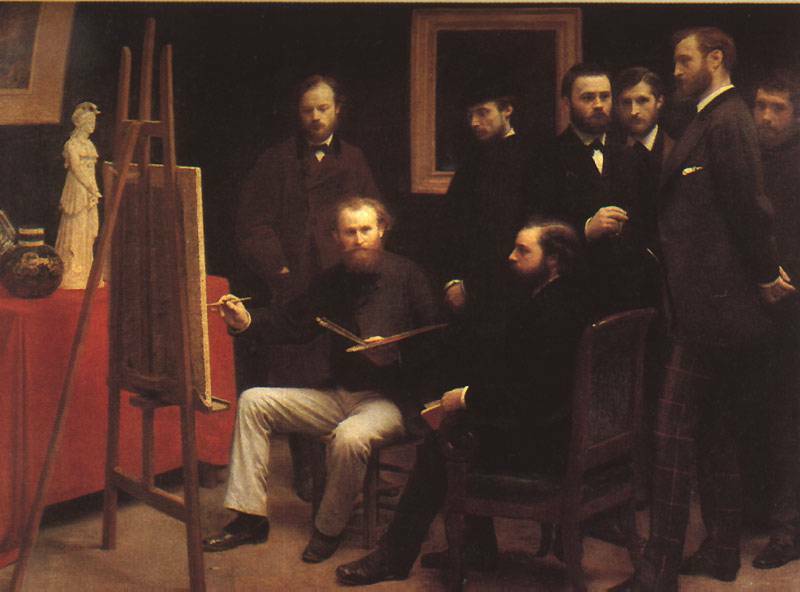 Homage to Delacroix (Musée d'Orsay, Paris, 1864) shows Fantin-Latour himself, with Baudelaire, Manet, Whistler, and others grouped round a portrait of Delacroix; and A Studio at Batignolles (sometimes called Homage to Manet ) (Musée d'Orsay, Paris, 1870) shows Monet, Renoir, and others in Manet's studio. In spite of his associations with such progressive artists, Fantin-Latour was a traditionalist, and his portraits particularly are in a precise, detailed style. Much of his later career was devoted to lithography; he greatly admired Richard Wagner and did imaginative lithographs illustrating his music and that of other Romantic composers.